The Samsung Galaxy F, aka Galaxy X, was teased for a release date this year by the company's CEO and now that date has been pushed back. 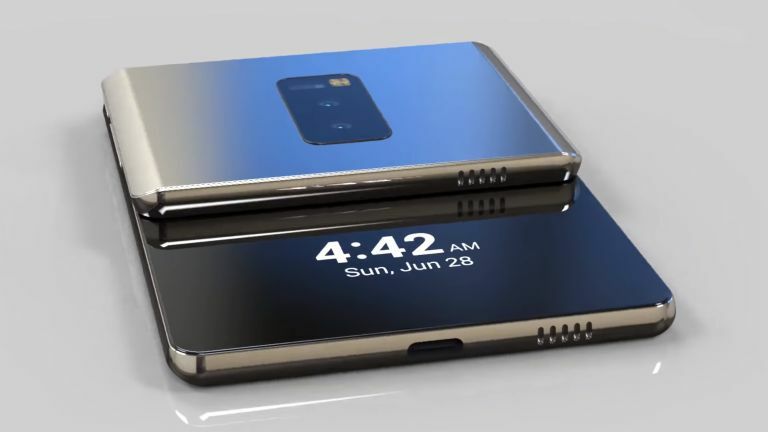 Samsung's first ever foldable phone was teased by the company's CEO, DJ Koh, as being the first to market with a 2018 expectation. This has since slipped all the way back into 2019. Samsung had teased a first look reveal at its November developer conference event, but that has now been pushed back too, it seems. So where does the release date sit now? Early 2019 is all that Samsung has revealed. Yup, the same sort of time the Galaxy S10 is rumoured to arrive. Koh has previously said that the company "didn’t want to lose the world's first title". So the comment previously where Samsung said "We will have more to say about the phone under development by that time, probably some details about specifications," might not be totally untrue still. We can but hope. So expect the Galaxy F to launch in 2019 but to potentially be teased officially this year. Also expect a high price and limited number of handsets made so keep your eye on the news if you want to own one.